We offer a choice of three courier services and one partial-vehicle-load service to be selected depending on your needs. A guaranteed 24h road service to selected countries of the European Union. An economy road service to all European Union countries. A partial-vehicle-load service with a 24h delivery option. To get a quote, please e-mail us at info@couriers.pl. A team of experienced forwarders will respond to your inquiry within 10 min providing you with a price estimate. An air service covering all countries of the world. Consignments picked up by 11.30 are delivered next business day in the area of Poznań City and Poznań agglomeration. Prices of consignments in the offer are prices calculated for total weight, irrespective of no. of parcels in a shipment. Freight of consignments characterized by untypical dimensions is priced individually. In case when the “dimensional weight” calculated acc. to the formula below exceeds the real weight, the price is to be paid acc. to the dimensional weight. Special and additional services are carried out after previous agreeing with the DCS office. Road express freight (dor-to-door) to Members of the European Unions as well as Switzerland and Croatia. The service is intend for less urgent consignments; it is characterized by advantageous relation of price to delivery time. In order to calculate price of the afore-mentioned service, please contact the office. Abu Dhabi, Amsterdam, Athens, Bangkok, Barcelona, Bombay, Brussels, Budapest, Bucharest, Capetown, Delhi, Dubai, Dublin, Jakarta, Eindhoven, Geneva, Guazngzhou, Hanoi, Helsinki, Istanbul, Johannesburg, Cairo, Calcutta, Copenhagen, Kuala Lumpur, Lisbon, London, Luxembourg, Madrid, Milan, New York, Oporto, Paris, Beijing, Barcelona, Prague, Pretoria, Rio De Janeiro, Busan, Riga, Rome, Sao Paulo, Seoul, Singapore, Shanghai, Sofia, Stockholm, Tallinn, Taipei, Tel Aviv, Ulsan, Vancouver, Vienna, Zurich. In case of document shipping exceeding 6 kg, apply prices included in “Packages (sps)” table. Price of a kg is rounded up and the price is charged acc. to a next item (in a price list). When dispatching samples, apply prices quoted in the table “Parcels (sps)”. 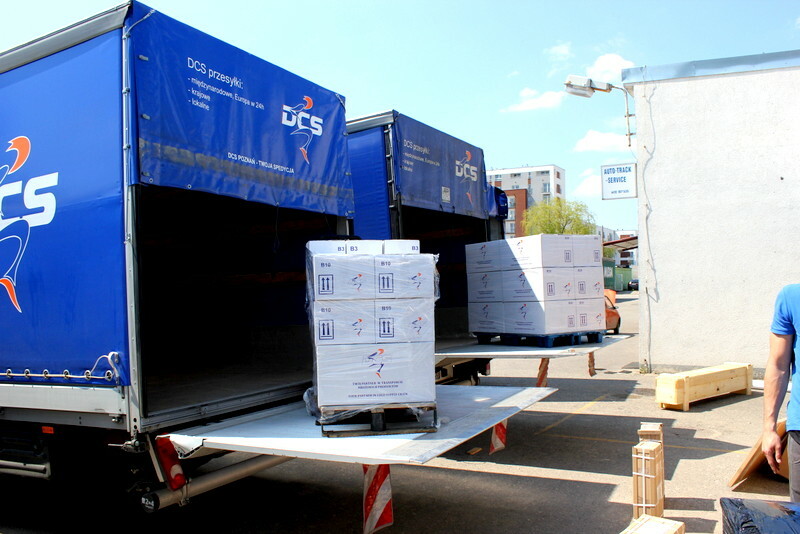 Document consignment posted in Warsaw will be delivered next business days in most of cities in Europe. For consignments posted from other cities in the area of Poland add one business day. Delivery service prices quoted in the tables are net. Above prices concern consignments posted as documents, samples of goods or gifts – without a commercial value. Fr other consignments an individual pricing applies.